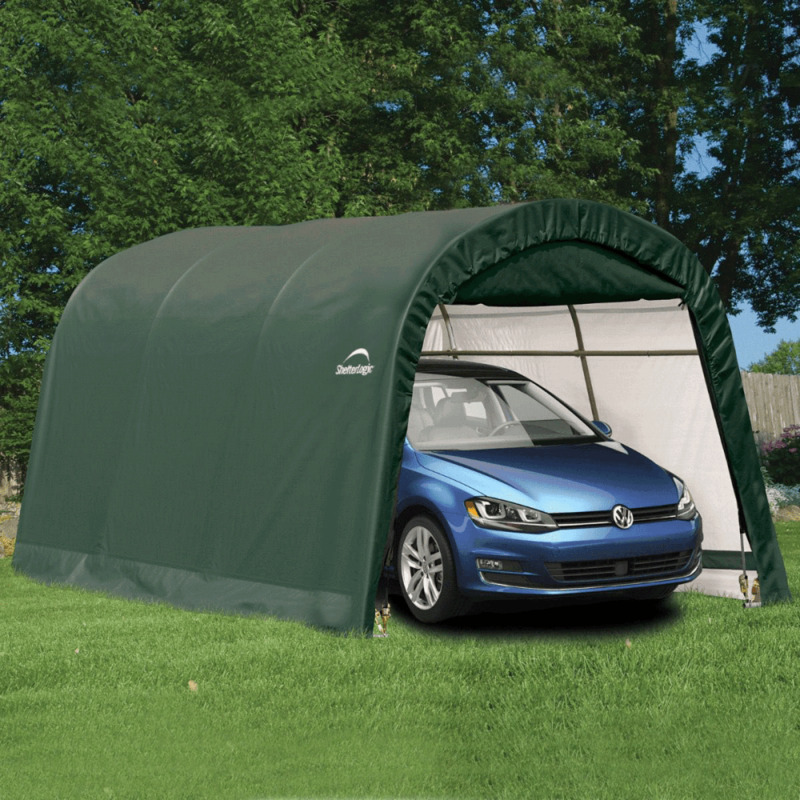 Shelter Logic 10 x 15 Round Top Auto Shelter: Shelter Logics 10ft x 15ft Round Top Auto Shelter is easy to assemble and provides excellent protection to cars, motorbikes and garden equipment. A great alternative to a permanent structure, the triple-layer woven polyethylene is heat sealed to ensure maximum water resistance. The high-quality steel frame is designed with strength and durability in mind, finished with a premium powder coating resistant to chipping, peeling, rust and corrosion. 3x ShelterLock® Steel Stabilisers ensure the shelter is sturdy and stable whilst the easily adjustable EasyFlowTM side panels allow for temperature and airflow control. The Easy Slide Cross RailTM system helps with squaring the frame whilst the Ratchet TiteTM Tensioning System locks down and secures the cover to the frame for a neat and tidy appearance.